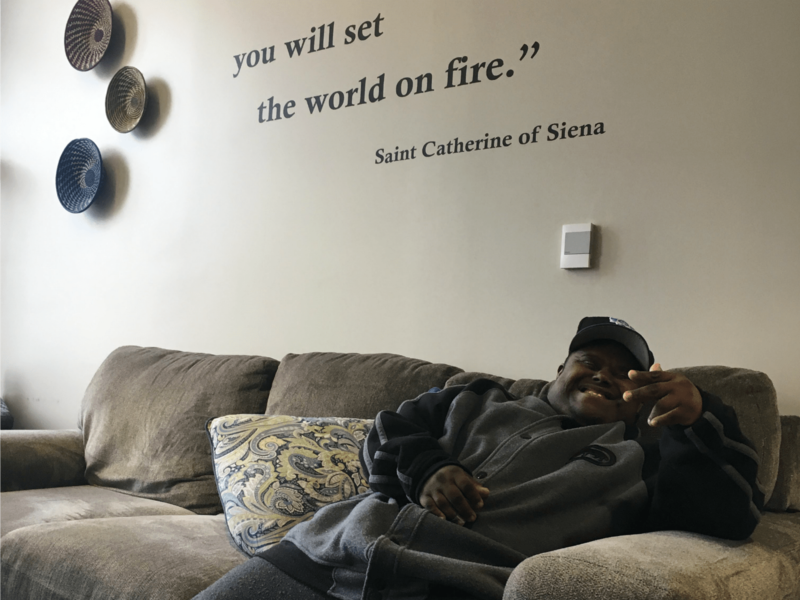 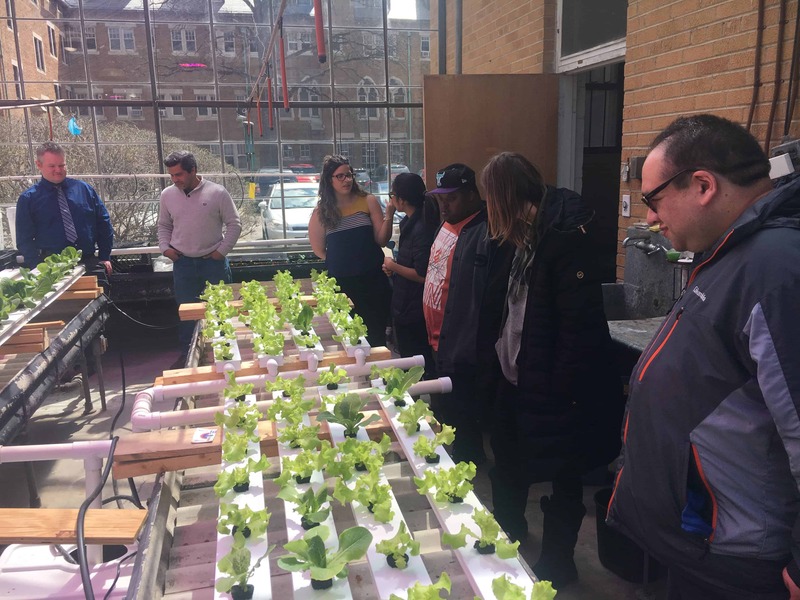 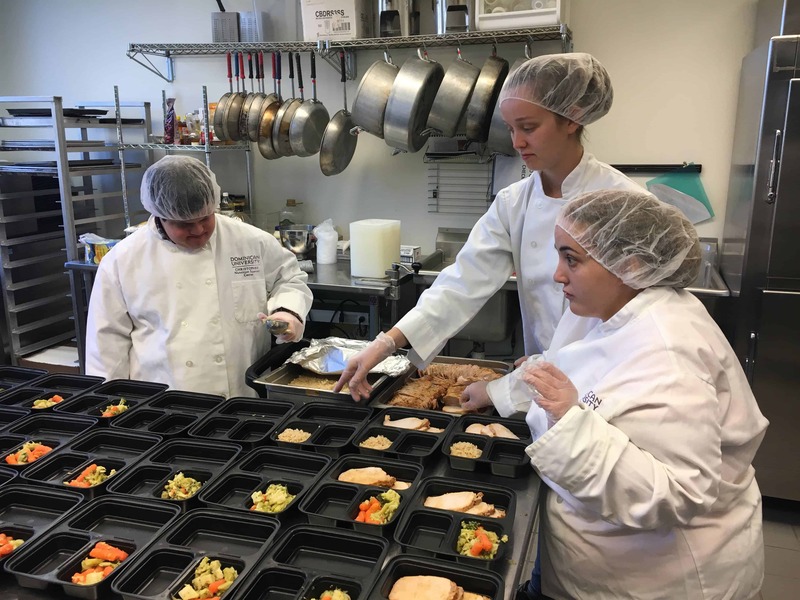 The Warrior Star Initiative (WSI) is a partnership program between Opportunity Knocks and the Dominican University Psychology and Nutrition Departments which launched in Fall 2017 and was based on a program run through our friends at the Trinity Volunteer Corps. 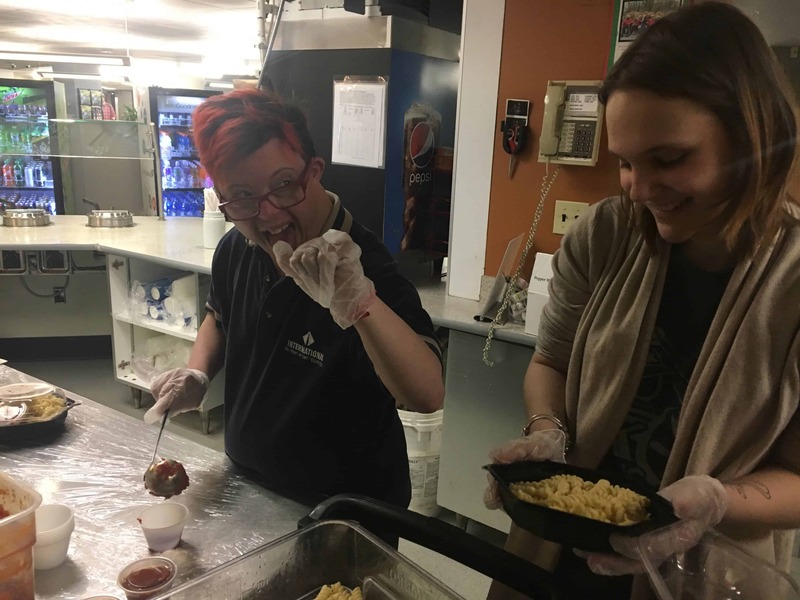 Together, DU interns and OK Warriors perform a variety of campus and community jobs, attend DU events, and develop friendships. 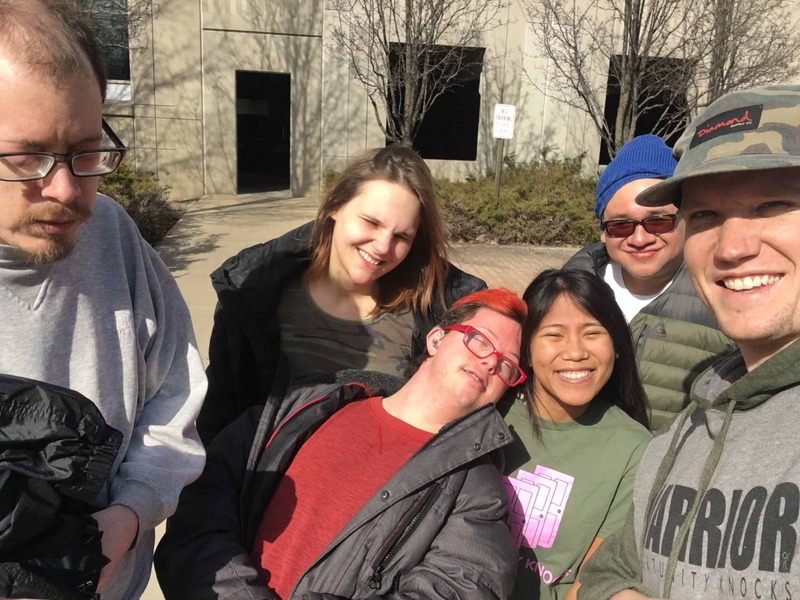 WSI provides the opportunity for Warriors to engage with a local college community, while also aiming to provide valuable vocational experiences and social skill development for Warriors and interns alike. 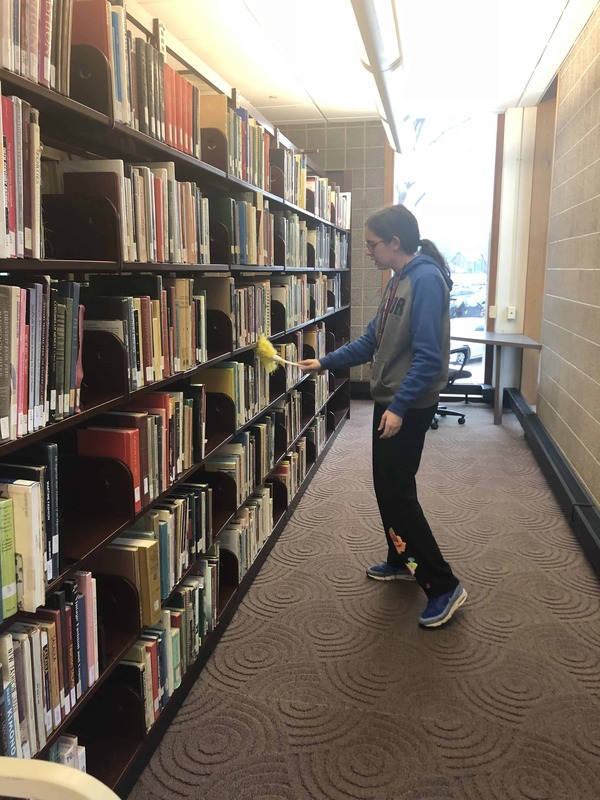 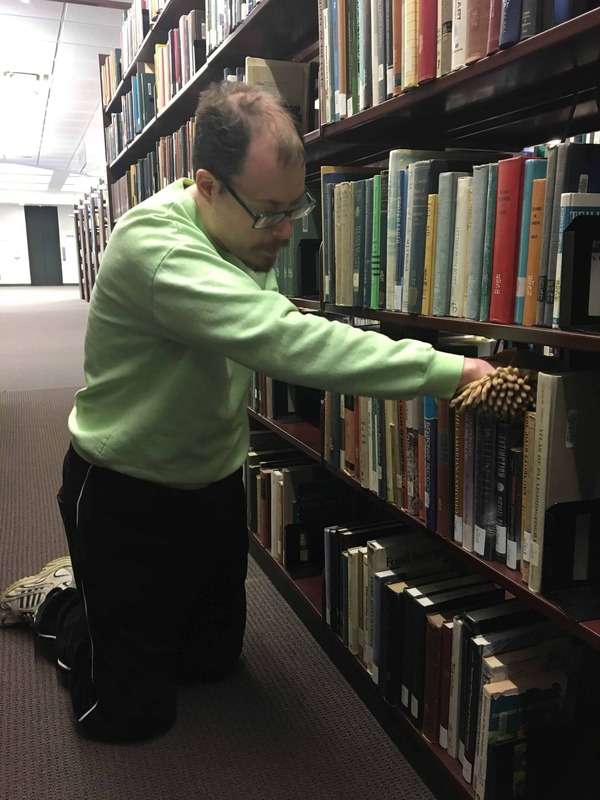 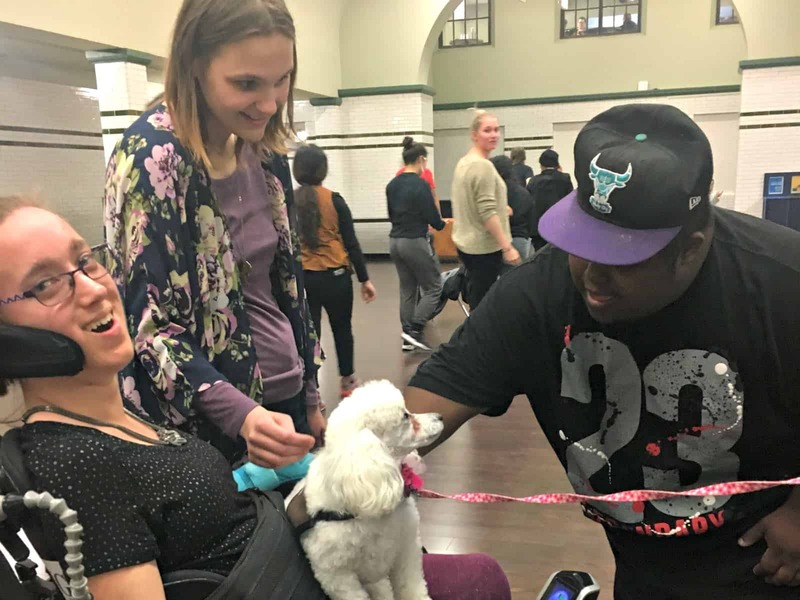 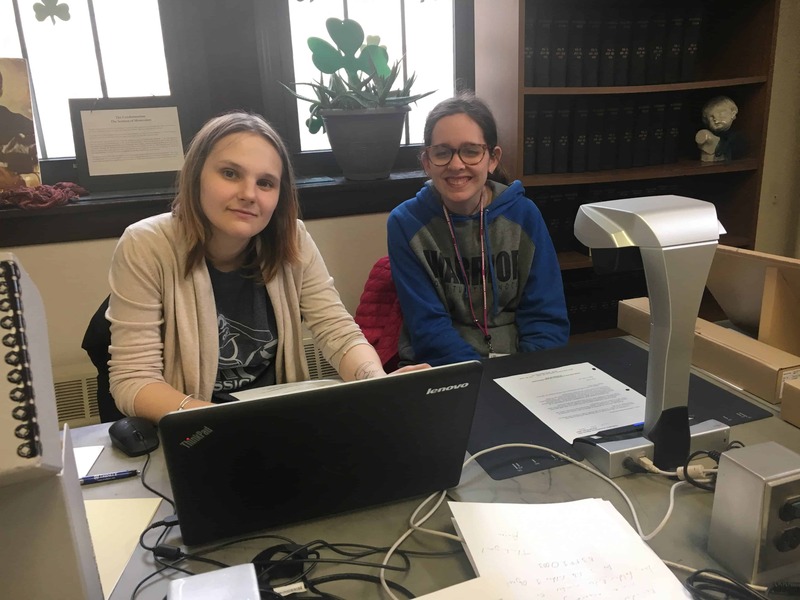 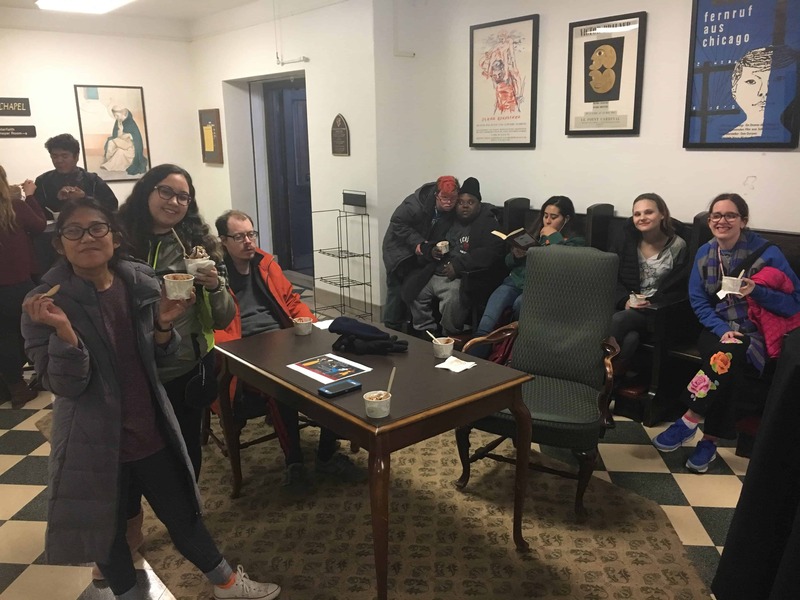 Spring 2018 marked our second full semester of programming on the DU campus. 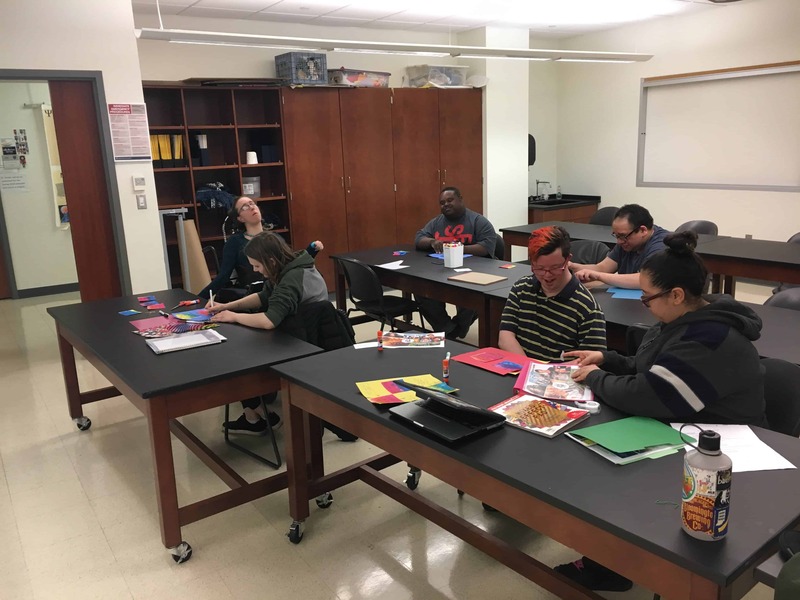 This semester we continued to develop and expand the program, serving more Warriors for more hours as well as adding more interns and new jobs, events, and activities. 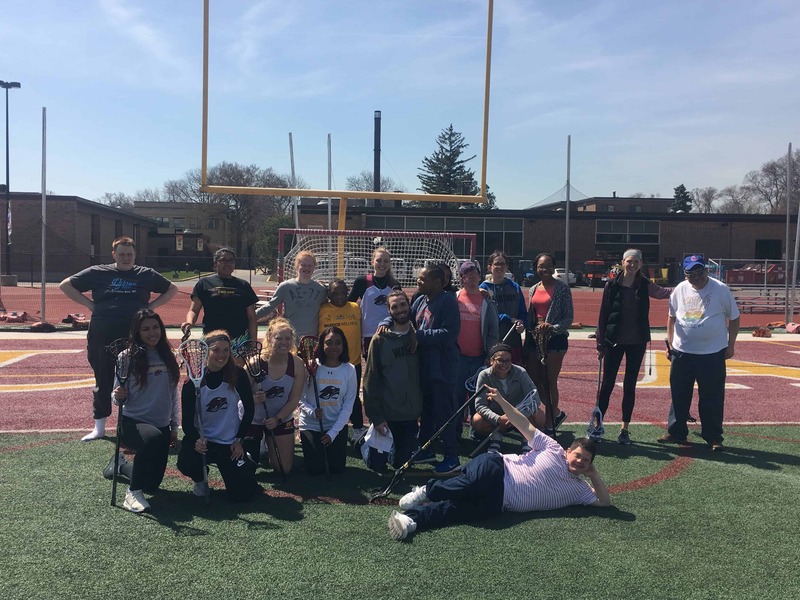 Check out some of the highlights below! 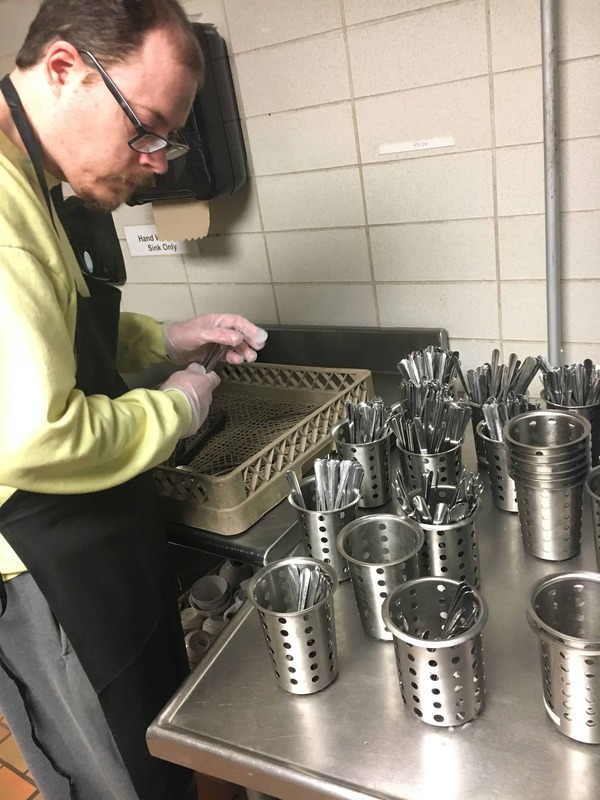 Cyber Cafe (preparing and packaging fruit cups and pasta bowls). 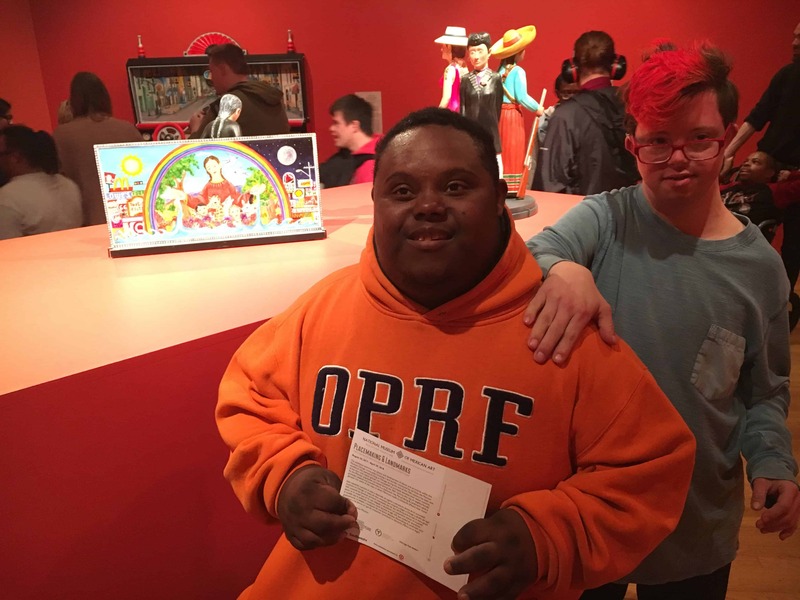 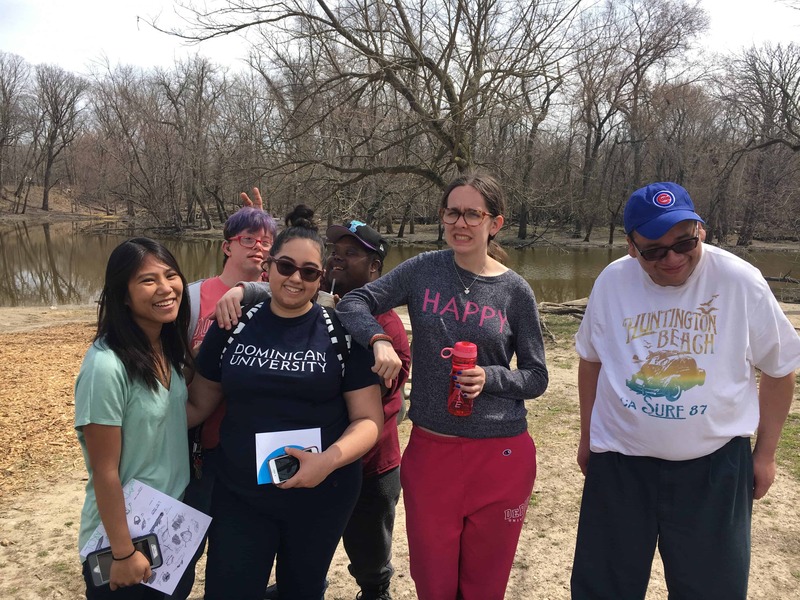 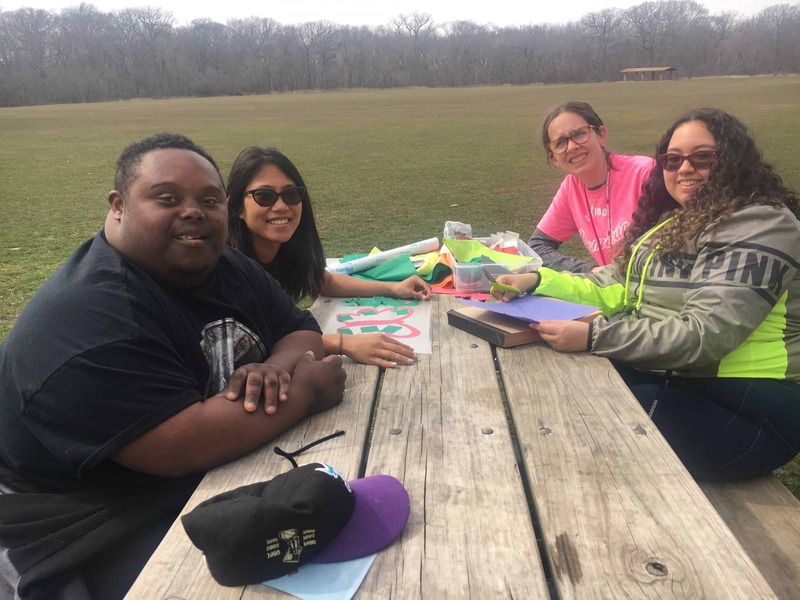 In addition to the vocational experiences and campus events, Warrior Stars also engaged in a variety of group activities including intern-led crafts and scavenger hunts, personal profile binders, outing to Pilsen with OK Life Shop, lacrosse game with Life Shop and Concordia University Women’s Lacrosse, and end of semester celebration at Junction Diner and Trailside Museum. 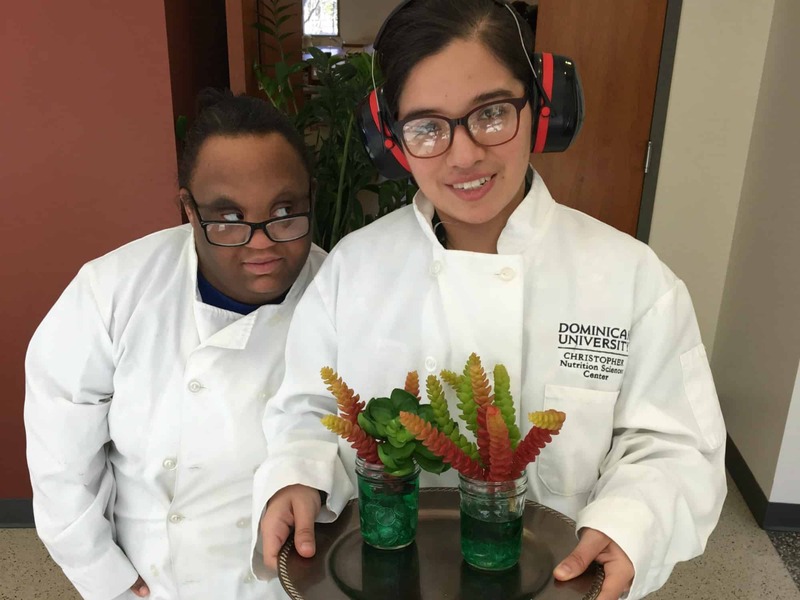 In the fall, our DU Nutrition intern came into the OK Life Shop for weekly nutrition activities with 5 Warriors. 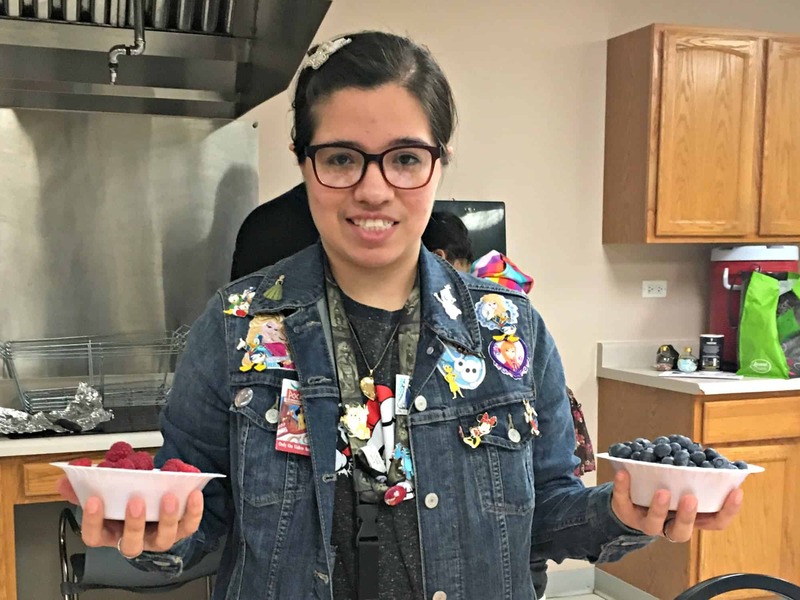 Each week, she would lead a nutrition lesson alongside a Warrior, then plan for the next week with a new Warrior. 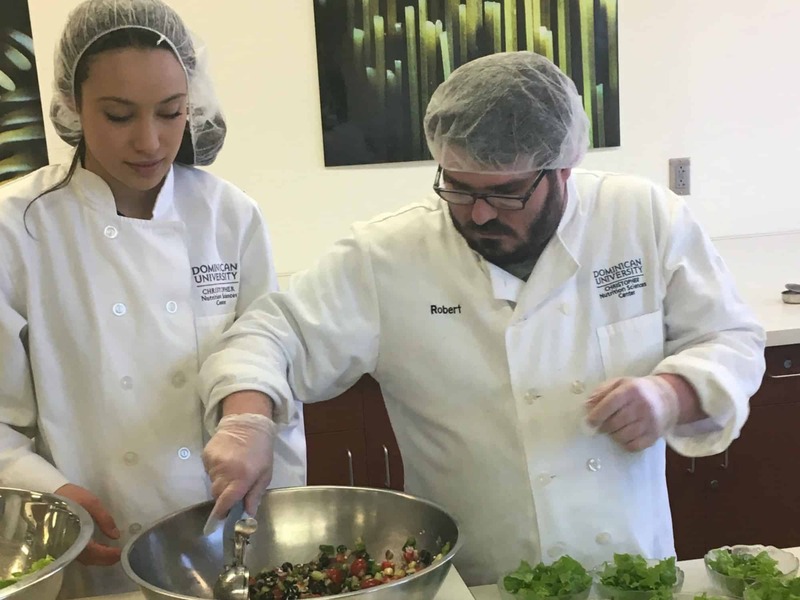 This spring, we tried out some new nutrition endeavors. 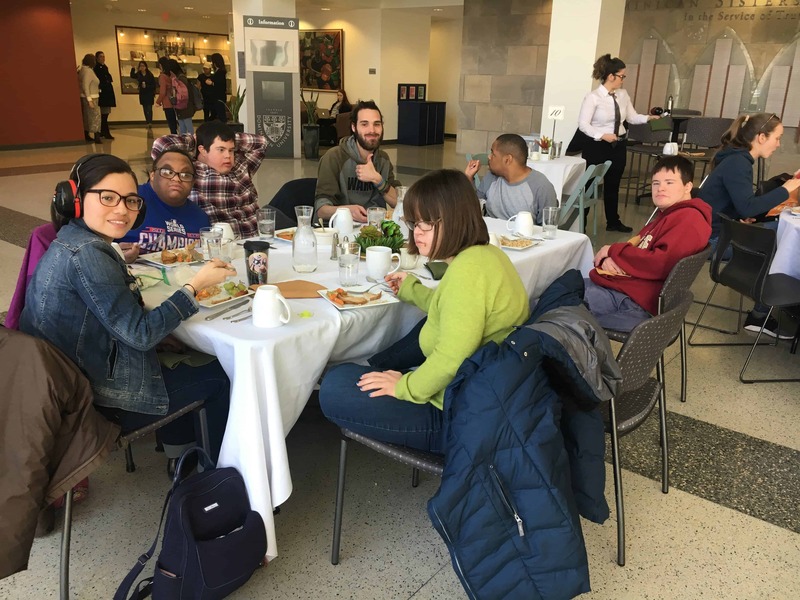 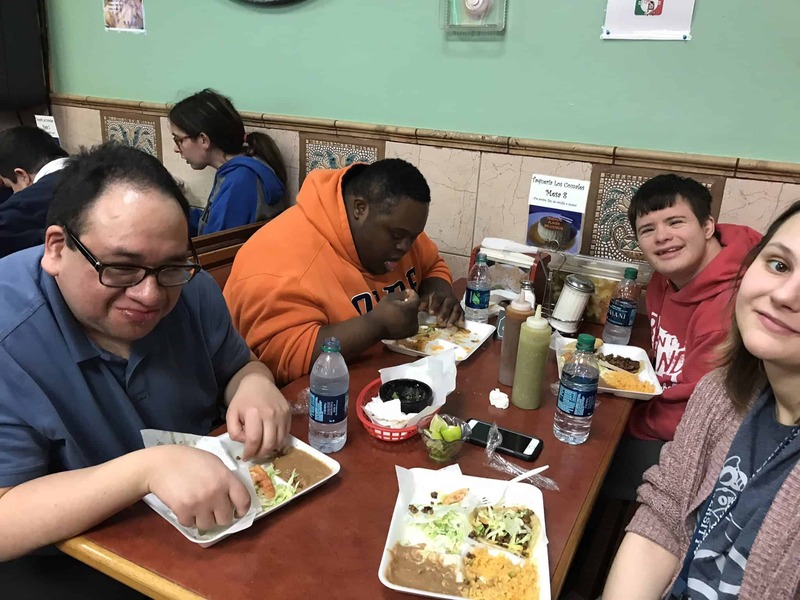 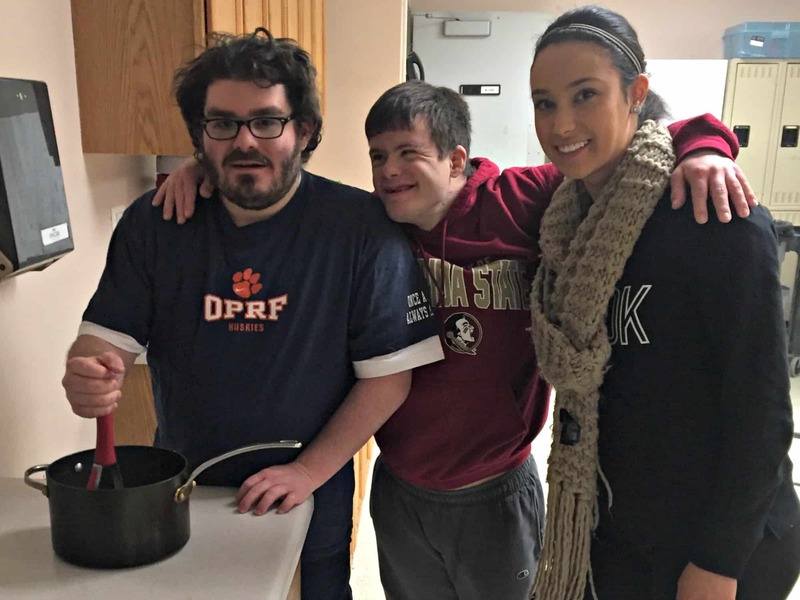 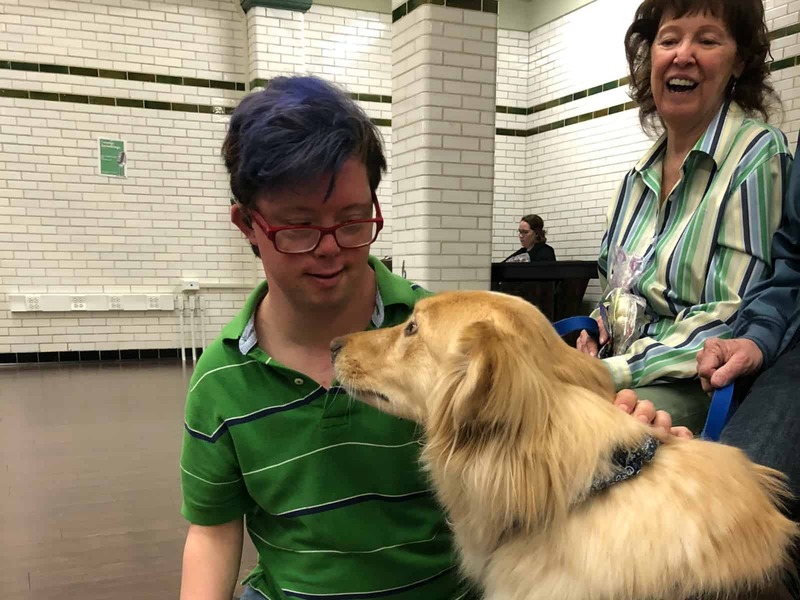 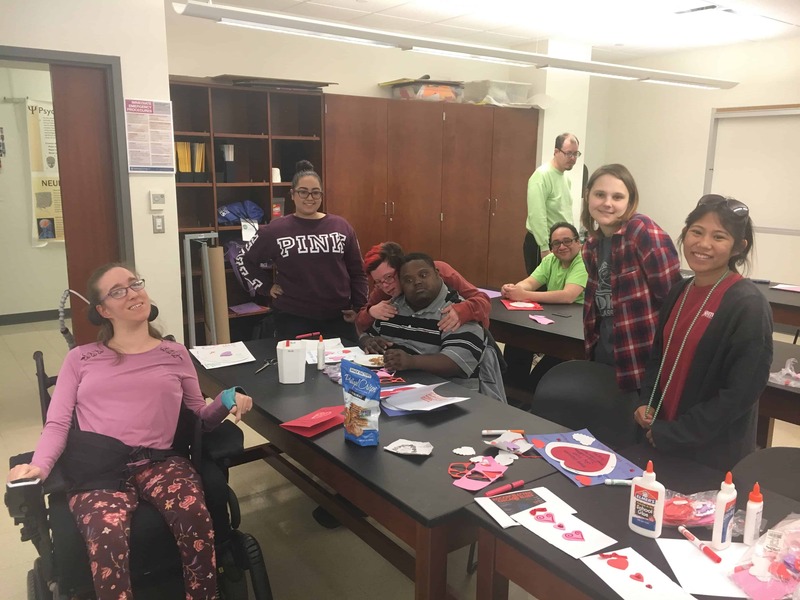 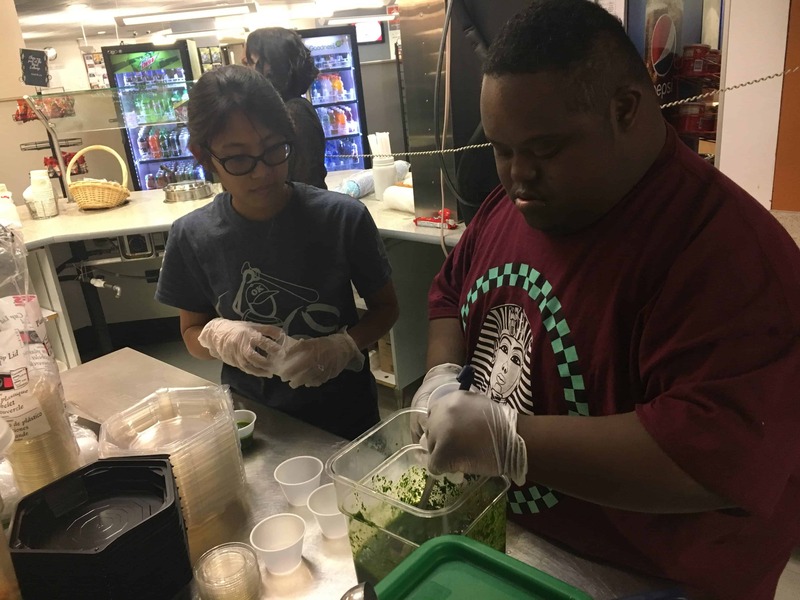 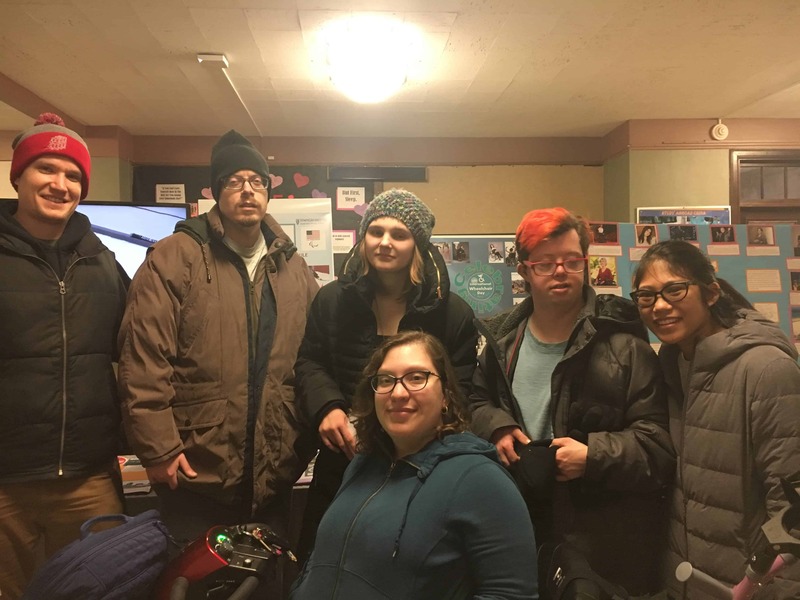 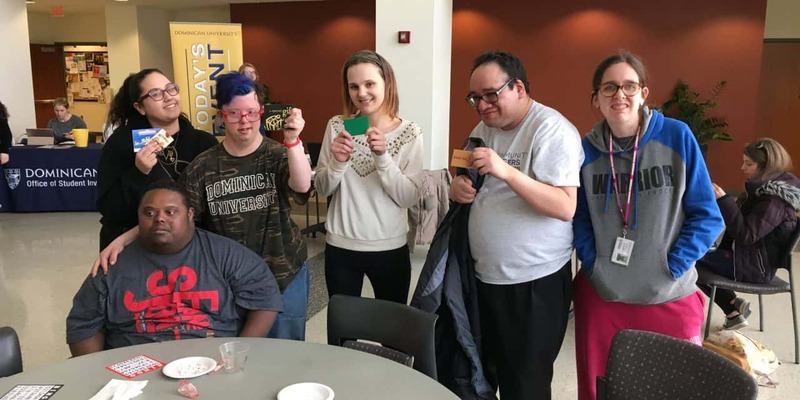 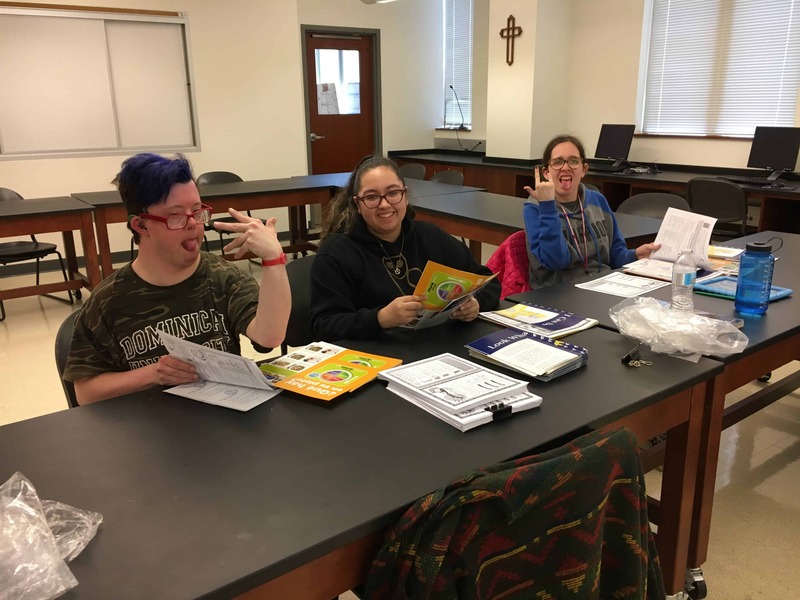 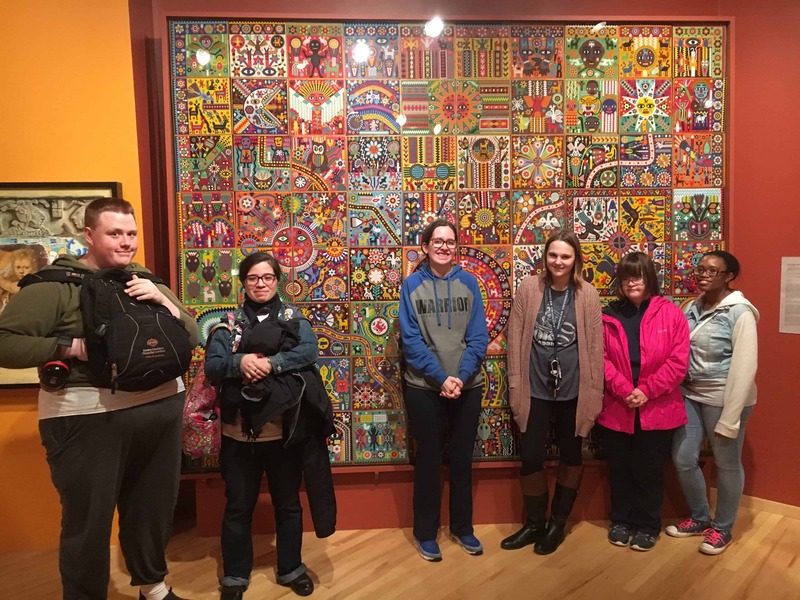 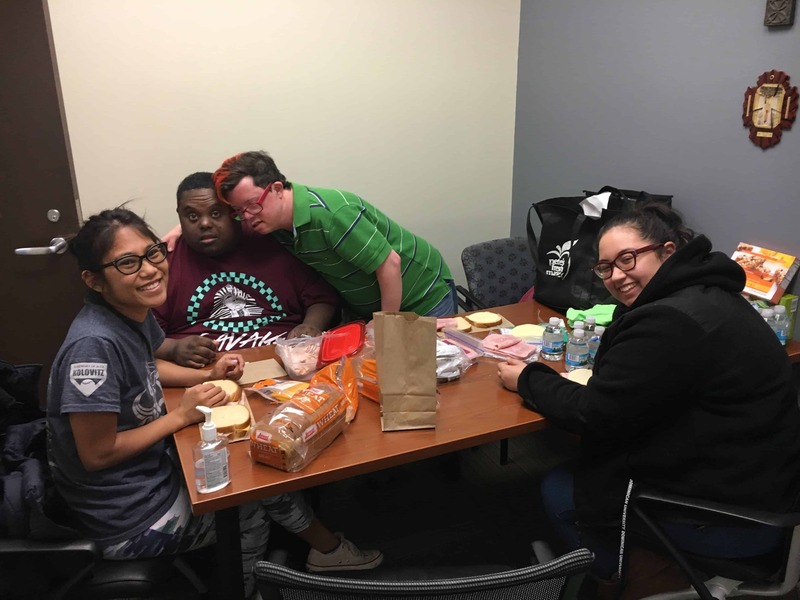 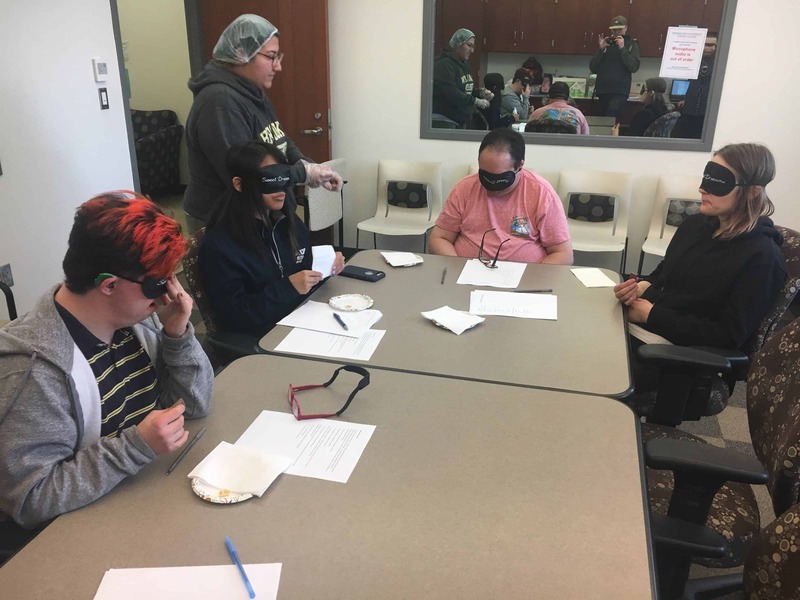 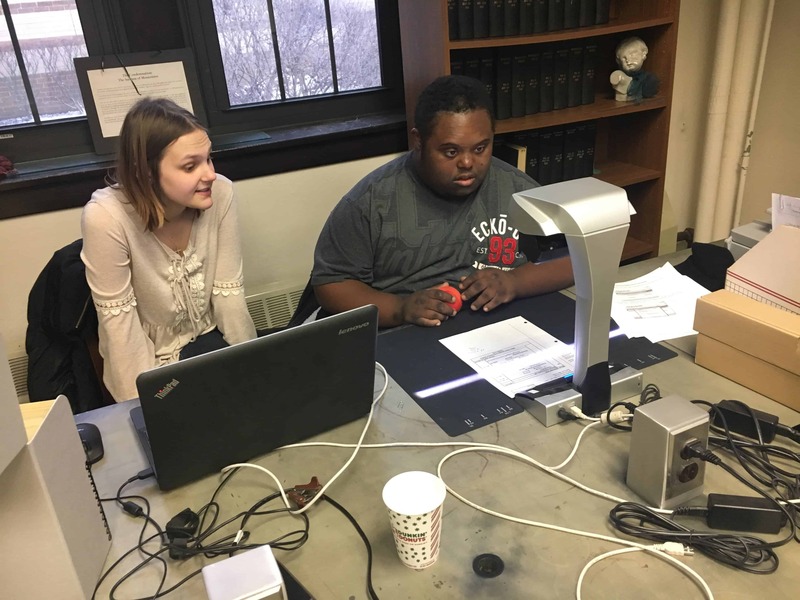 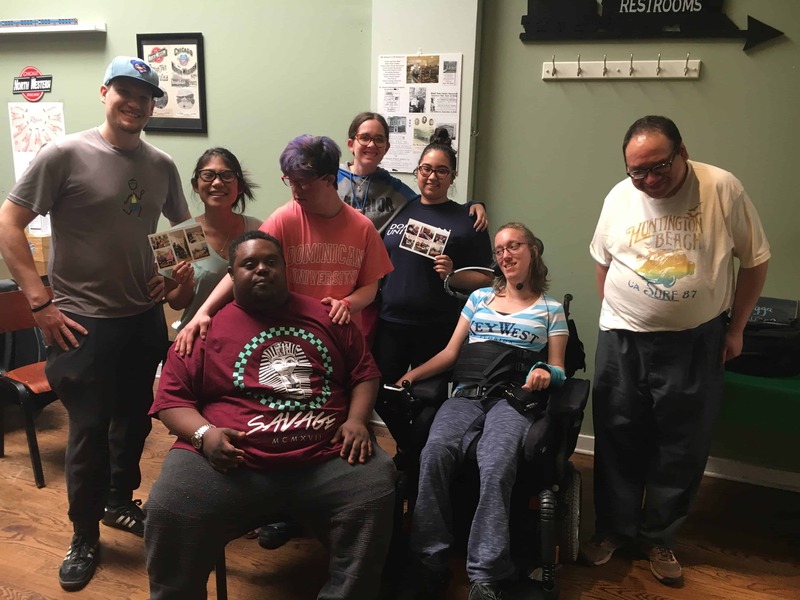 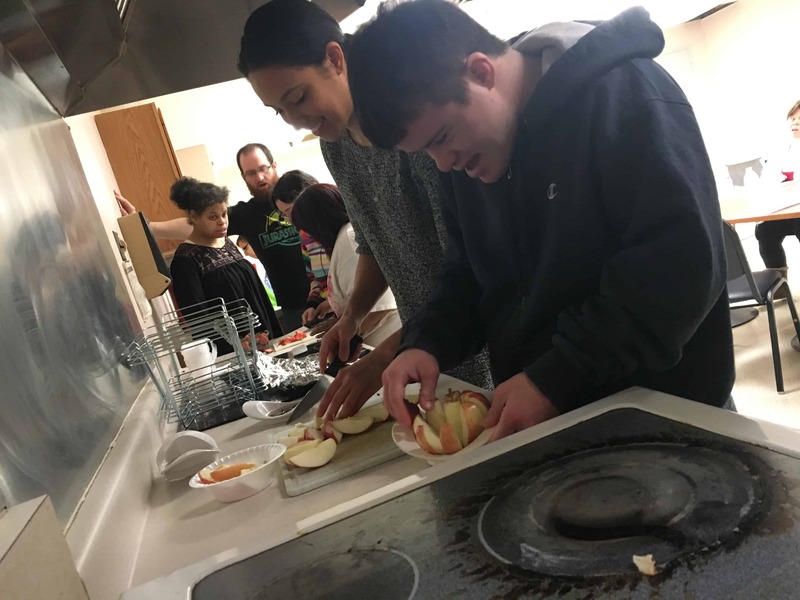 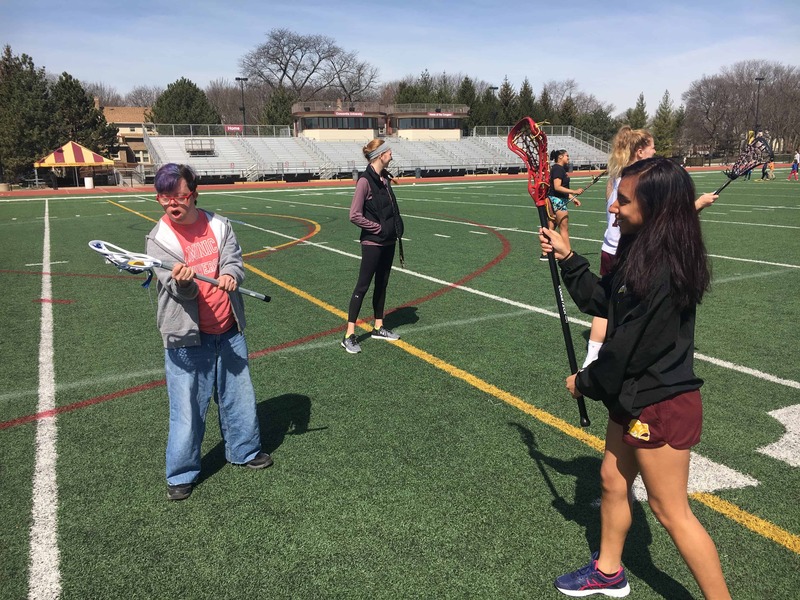 During the first part of the semester, our intern and Warriors took their nutrition lessons to another local disability service agency, Aspire, and led activities with their participants. 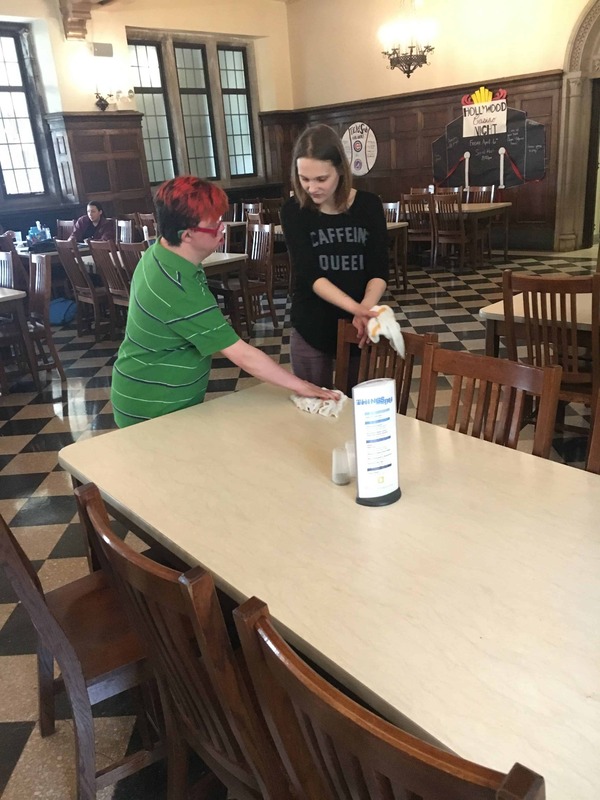 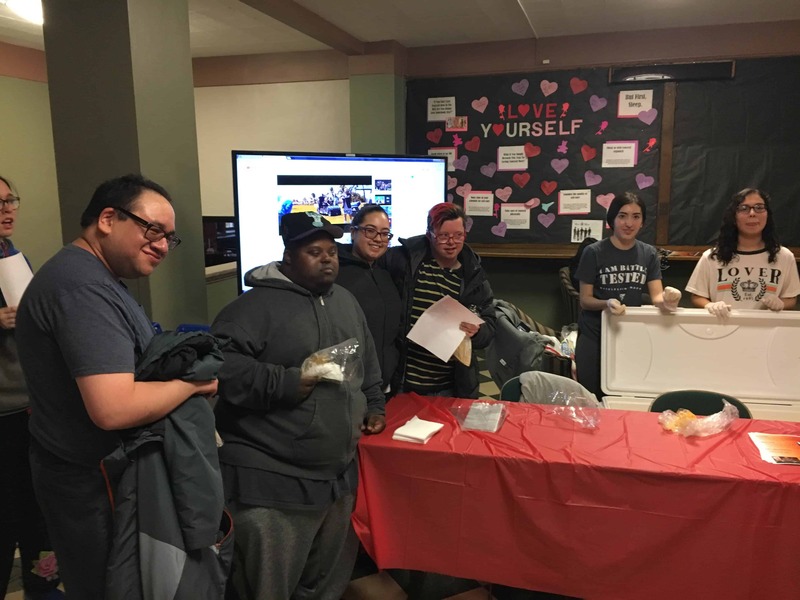 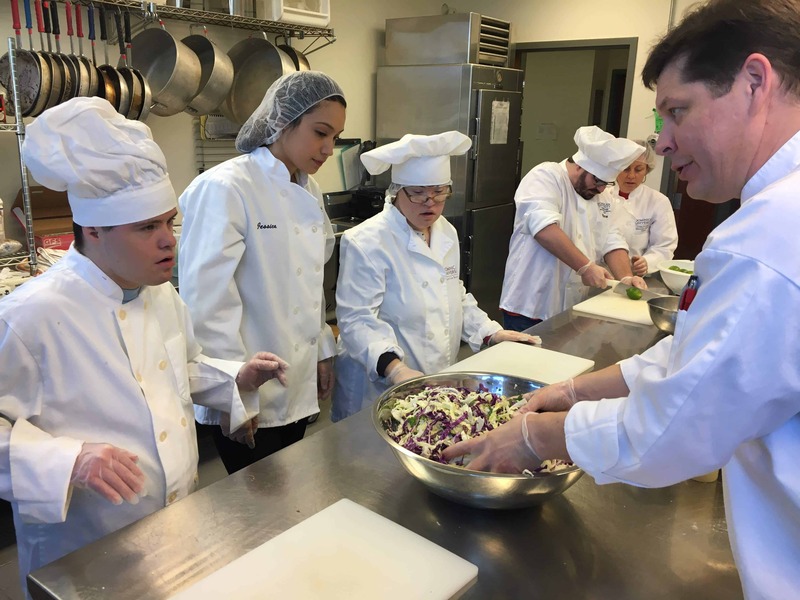 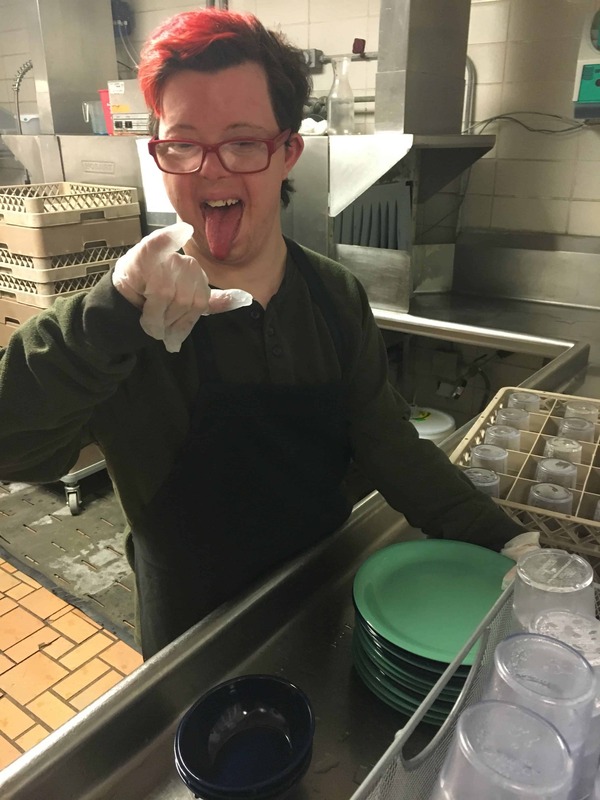 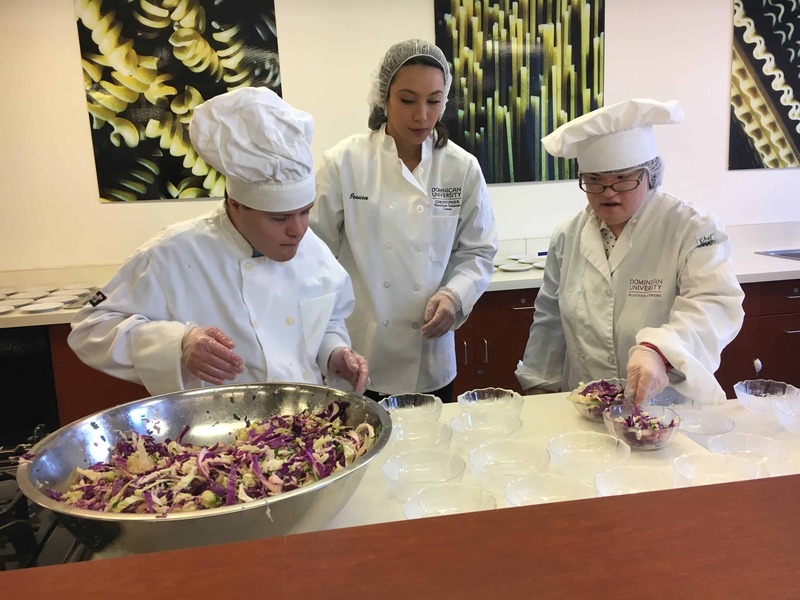 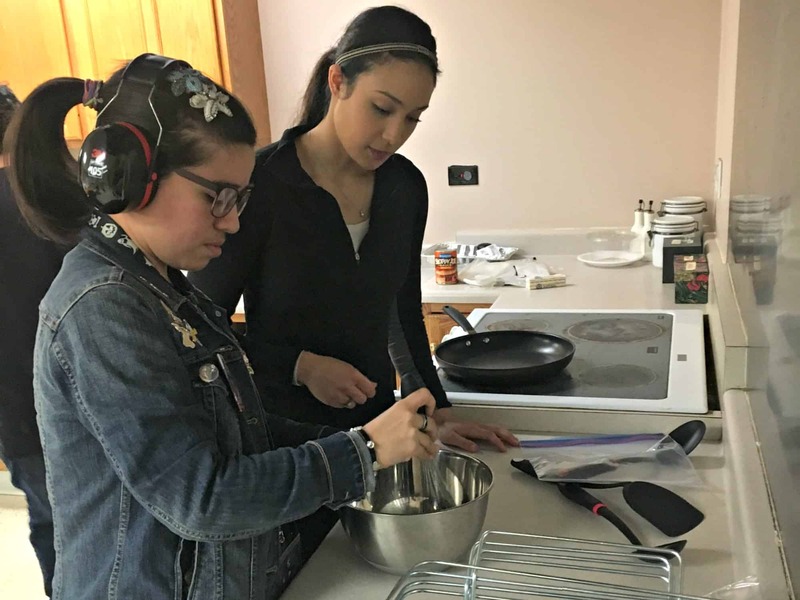 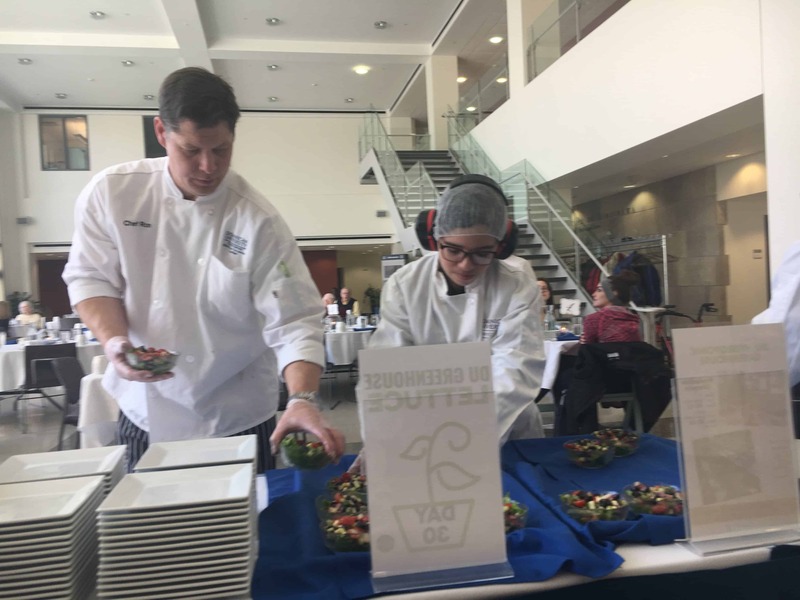 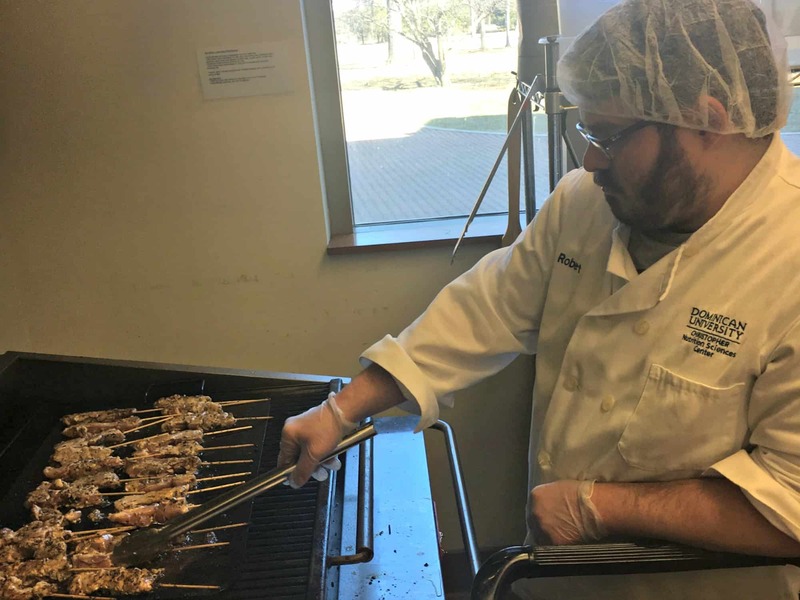 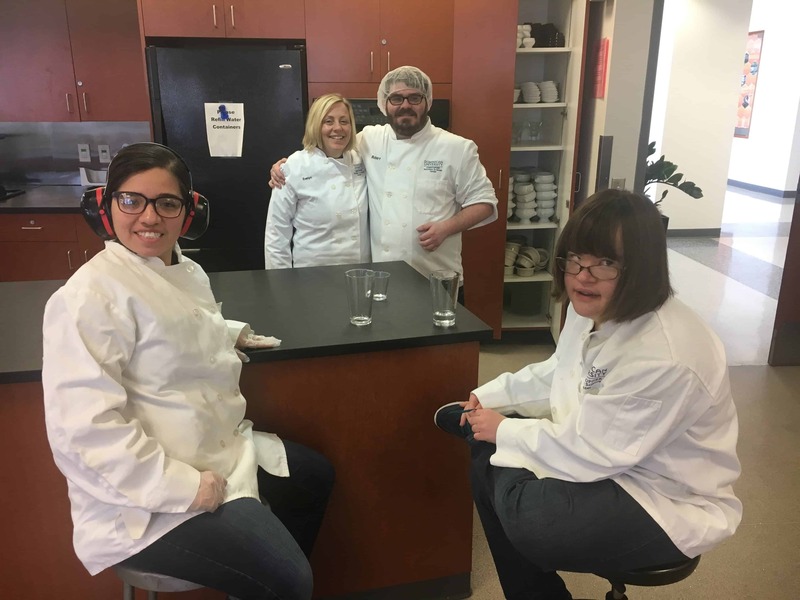 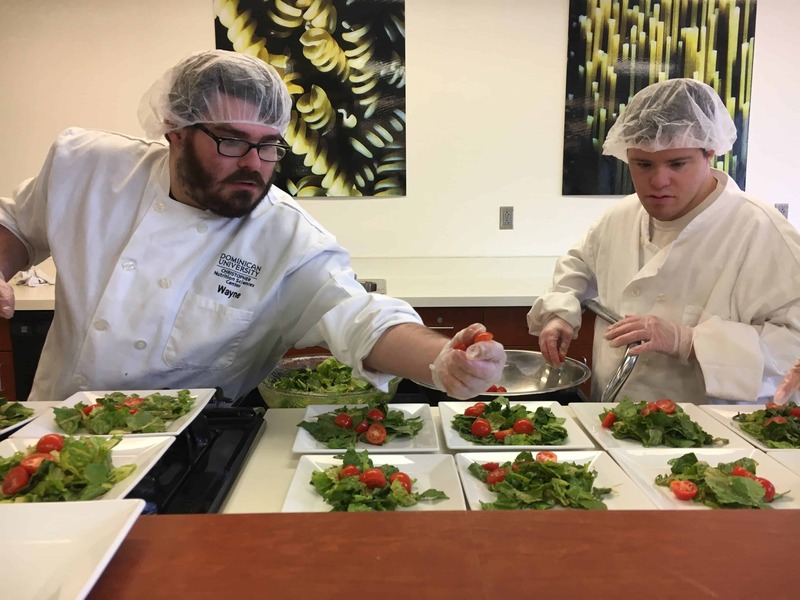 During the ladder half of the semester we participated in the Dominican University Recipe Box program and helped DU nutrition students and faculty prepare special, nutritious 3-course lunches for students and community members at the DU campus. 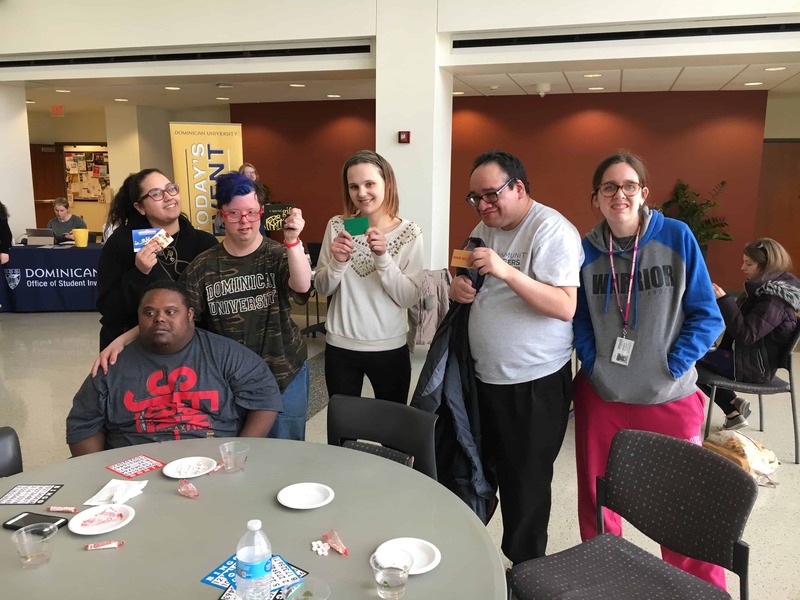 We had a great time this semester working with Aspire and DU Nutrition! 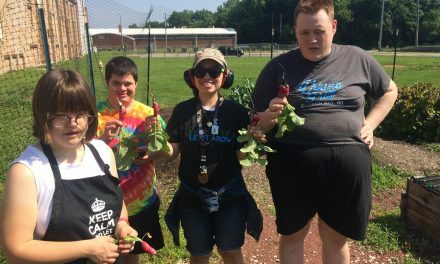 NextIt’s been a bountiful Spring on the OK Farm! 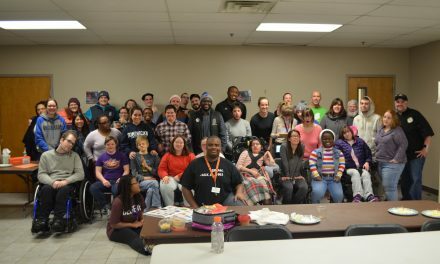 Life Shop visits Phil at the Naperville Firehouse!